Variant Comics from then ’till now – Part 5! In part 1 and part 2 of this series covering the history variant comic books, we covered the series of “price variant” comics. In part 3 we discovered a few rare second printings from the mid 1960s, where 1-2 years separated the first and second printings. In part 4 we explored two key events that began to set the framework of where we find ourselves today. In today’s part 5 we will look at the last key event that turned the tide and was the final piece that changed second and subsequent printings from a rarity to commonplace. 2. The change from newsstand distribution to the direct market. 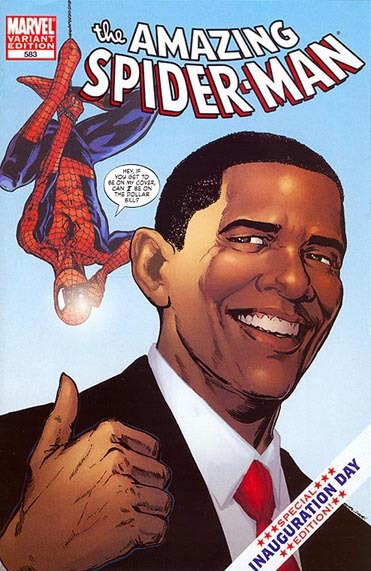 The third and most influential event to affect second and subsequent printings, was a decision first taken by Marvel Comics in late 2001. It was this decision that has changed the landscape in not only the numbers of second, third and subsequent printings but also the collectability of those “non-first” prints. Marvel Comics as a publisher began to notice that retailers were ordering smaller quantities of each issue as initial orders, then re-ordering more copies as sales and demand warranted. Marvel saw this as the direct market comic retailers attempting to transfer more of the risk of unsold comics back to the publisher. So in late 2001, Marvel Comics decided to limit their print runs to actual initial order numbers from retailers, plus a small percentage to cover damages. This was a move to ensure the risk of unsold copies remained, where the publisher wanted it, with the direct market comic retailer. I’m sure many comic book retailers thought it was a bluff, but sure enough, when retailers tried to order more 1st print copies of a popular selling issue, there were none left to be had. Marvel gambled with the knowledge that collectors wouldn’t be satisfied with a second print and expected the direct market to correct itself in its favor. However, a funny thing happened during this period. The popularity of superhero movies and TV series, brought a whole new group of people into comic stores and guess what, they were not collectors. These new enthusiasts just wanted to read and didn’t care if it was a first print, 7th print or a graphic novel. So, when enough retailers put in back-orders, the publisher looked at the demand and ran a second printing. Soon after, DC Comics followed suit. Other publishers dragged their feet, hoping that their back issue availability would be a marketing tool. Eventually they gave in as well as the market for second and subsequent printings evolved. This brings us to the current decade where second printings are commonplace, all leading back to that decision in late 2001. Early in this new second printing game, publishers gave subsequent printings new covers, usually using a page from the inside, or an uncolored or sketch version of the original or, merely different coloring such as what Bone pioneered in 1991. How has this affected collectability? Second and subsequent printings were regularly shunned by collectors, who only desired the 1st printing of any issue. There has been a recent revelation that second and subsequent printings had much lower print runs than the always desirable 1st printing, with some 3rd or 4th prints having such a minimal print run as to be deemed rare! And, the fact that these issues had different covers also made them attractive for the completist crowd as these printings now doubled up as a “cover variant”! Suddenly, price guides were being updated to show that the 2nd or 3rd print run of some comics are listed at a higher catalog value than the once all-desirable 1st print. Second, third and even fourth printings are now commonplace with at least a half-dozen second printings being run weekly! So this type of situation below is now common! 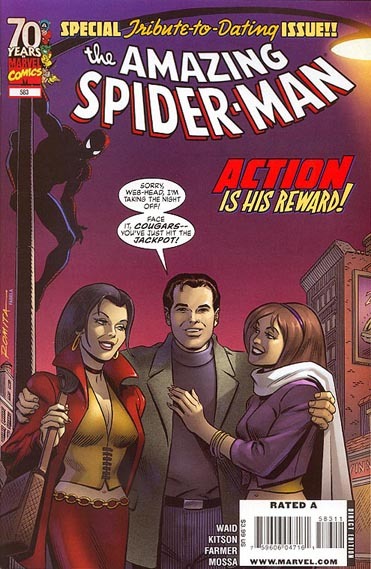 Here we have the standard cover for Marvel Comics Amazing Spider-Man #583 published in 2009. 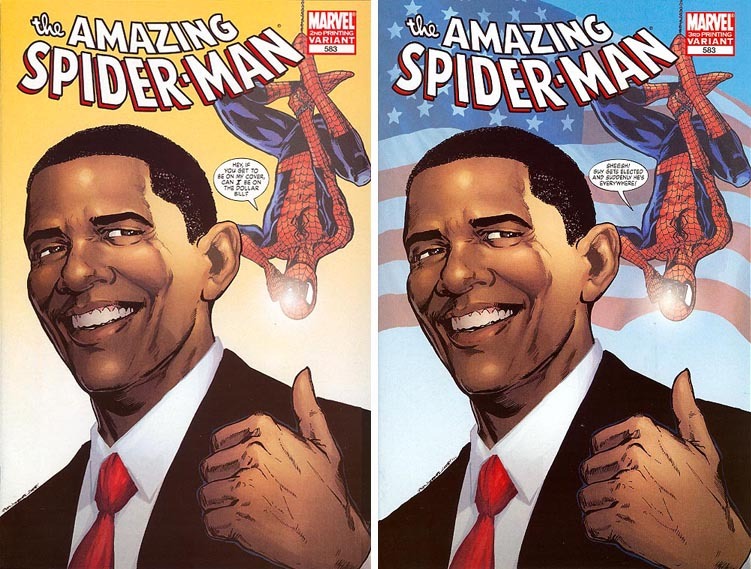 The variant cover proved so popular when retailers ordered more, Marvel printed a second, then third printing! On the left is the second printing and on the right is the third printing. Wow, fans couldn’t get enough and retailers ordered even more, so Marvel published a fourth, then finally a fifth printing! On the left is the 4th printing and on the right, the 5th and final printing…whew! 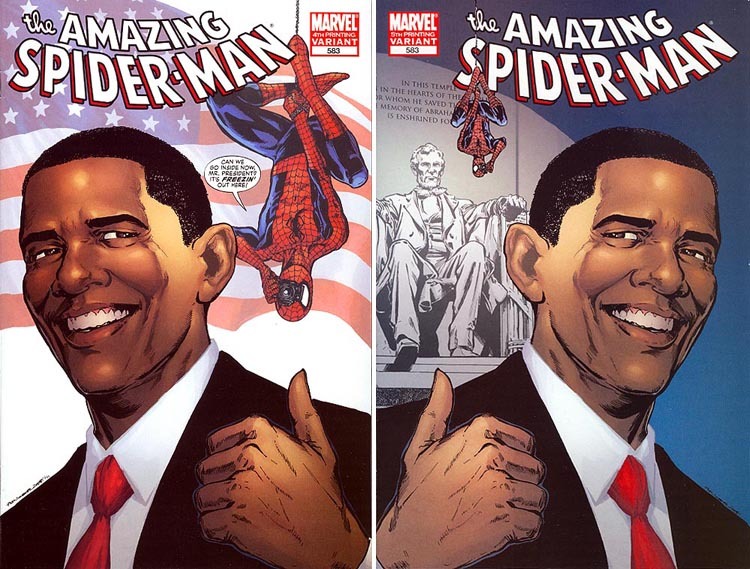 This brings us up to date with the second series of variant comics, the “printing variants”. With the now common addition of a different cover, second, third and even fourth printings are now everyday occurrences and becoming collectible, now take their place as a growing series of variant comics. Part 6 is here Part 7 is here Part 8 is here. The History of Variant Comics Part 9 is here and is the last part of this series. Share the post "Variant Comics from then ’till now – Part 5!" This entry was posted in Variant Covers and tagged Variant comics on August 15, 2014 by Hal Hickey. History of Variant Comics part 9 by Hal Hickey on Variant Comics from then ‘till now – part 2! Hal Hickey on Variant Comics from then ’till now – Part 9! New items in the on-line comic store!